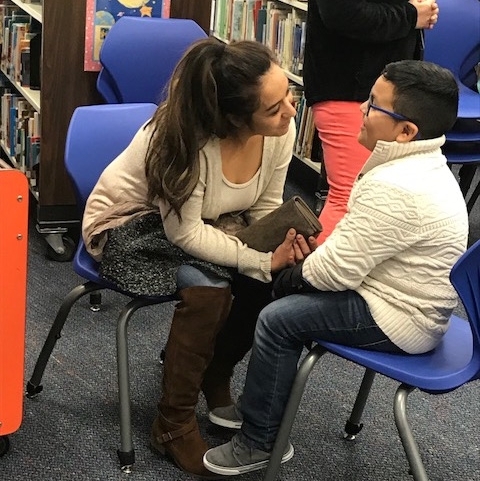 LIFE brings families together with schools to create supportive connections that will deepen children’s relationships with their parents and enhance their literacy skills. LIFE facilitates emotional and academic experiences aimed at increasing a child’s reading skills while supporting a culture of literacy at home. Each week you will lead activities that will bring families closer together while connecting them to their school community. Parents and children will work together to become lifelong learners and readers. Families that are connected to schools and to a community of other parents are more likely to reach out to their child’s school and to each other for support. LIFE is in line with the Department of Education’s Partnership in Education report of dual capacity building framework for Family-School Partnerships. In order to be in line with the best practices, family engagement programs must be linked to learning and be relational, developmental, collaborative, and interactive. Using the kind of Two-Generation Approach promoted by the Aspen Institute, LIFE draws on cutting edge research for both literacy and social and emotional intelligence to create a robust learning experience for both children and families. Participants in the LIFE program discuss their experience on the Danielle Norwood radio program.